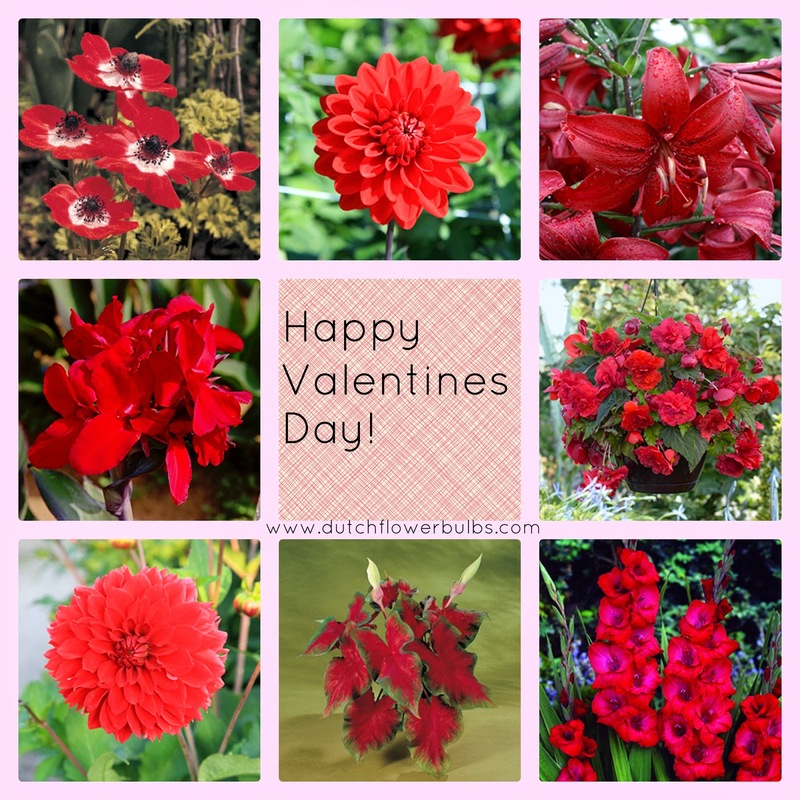 Valentines Day is already coming up and last week we've posted some red colored flowers. In this article we're going to show the bulbs we have used for the collage below. It has a beautiful red color with a black and white contrasting heart. It blooms from May till June and is a perfect flower for rock gardens. Anemone Hollandia needs sun and is deer resistant. This Decorative Dahlia Arnhem is also known as Border Dahlia. 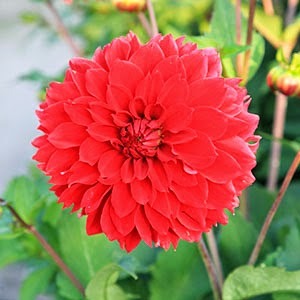 This blood red dahlia produces many flowers with a height of 22''. Arnhem blooms from June till September. 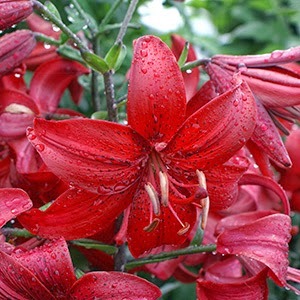 County Red is a bordeaux red Lily and blooms from June till August. They do best in full sun but are also fine with some shade. Moisted soil is a must for lilies, so make sure they won't dry out. Blooms from Augustus till September and likes the full sun. Black Night requires moist soil, so do not let the soil dry out. This flower is deer resistant. 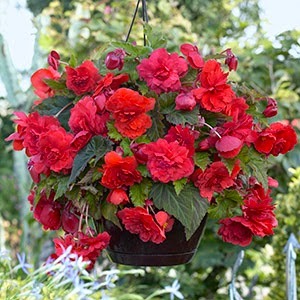 This is the hanging fragrant Begonia Red Glory, it has a very sweet fragrance. It blooms from July till October and likes to hang in the shade with a little bit sunshine. 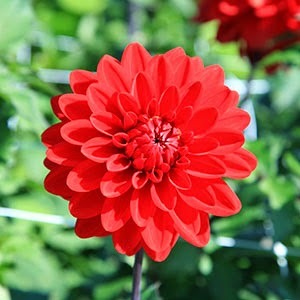 Red Fubuki is one of the stunning varieties of Fimbriata Dahlia. It blooms from July till September and likes to stand in the sun. Unfortunately, the deer also likes Dahlia's. 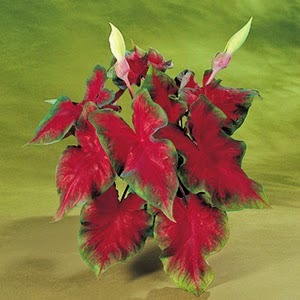 Heart-shaped leaves is a typical characteristic for Caladiums! 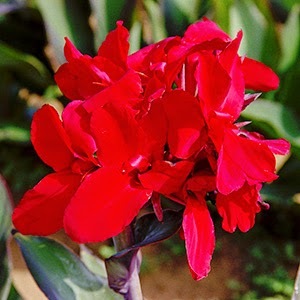 Red Ruffles has red leaves with a green edge around and blooms in summer. Caladiums like to stand in the sun, but they also need shade. 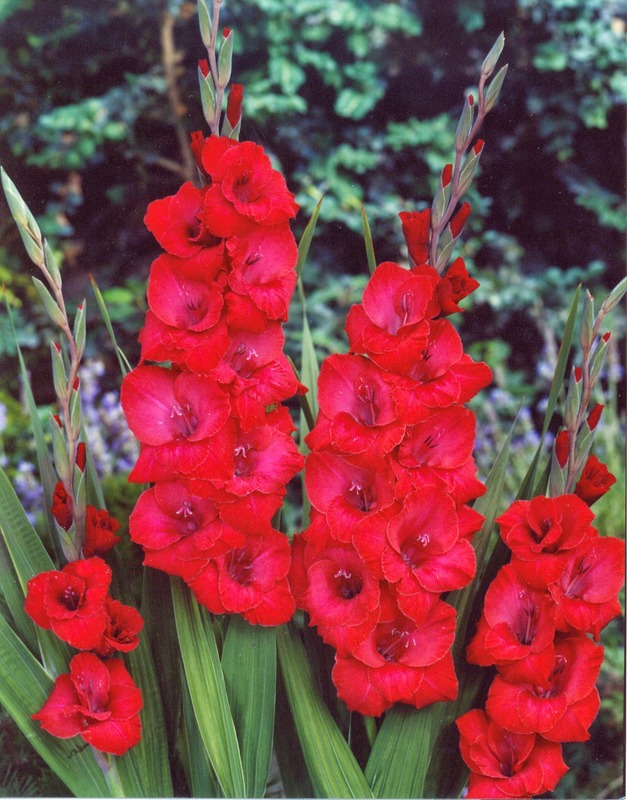 Tall Gladiolus Mexico has loose, strap-shaped leaves and large dark-red flowers on tall stems. Mexico blooms in the summer and they have a very sweet fragrant which attracts bees, butterflies and birds.